Disgustingly dishonest CNN, which has recently earned the moniker “Fraudulent News Network” compliments of its fake news reporting on the Trump administration, is getting hammered by the public and by fellow journalists for its threat to blackmail a Reddit user by exposing him (or her) after the user created a funny meme lambasting the media outlet. “Over the July 4th holiday, CNN managed to acquire the identity of the Reddit user who created the hilarious Trump vs. CNN mock wrestling video that has taken the internet by storm. His Reddit username is HanAssHoleSolo, but CNN threatened to go public with his real name if he didn’t apologize for making the video,” Adams wrote. 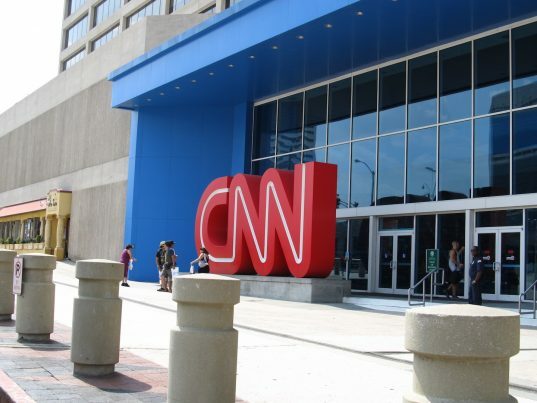 The user did apologize, but that didn’t matter: The network ‘reserved the right’ to out the user at a later date, if he dared to utilize his First Amendment right to free expression ever again in a way that mocked CNN. Mind you, the very same CNN “investigative team” that couldn’t get a story right last week regarding the Trump administration and had to retract it somehow managed to find out who this user was, and some are alleging there may — may — have been involvement by CNN’s parent company, Time-Warner. How did they find him? While CNN maintains they were able to link HanAssholeSolo’s posts to his Facebook account, a 4chan user claiming to be a CNN insider, suggested that CNN obtained his IP address from his ISP and ‘unmasked’ him. “CNN, which is owned by Time Warner, got a reddit users IP from their mods, and with their relation to Time Warner, got his identity,” the 4chan user wrote. “Then extorted him to apologize or be revealed. Whether CNN’s investigators had illicit help in identifying the user or not, two things are certain: The network has had a horrible couple of weeks, reporting fake news that had to be retracted and earned much-deserved scorn from Americans and the president; and Adams has been right all along about “mainstream media” journo-terrorist CNN. Members of the leftist media smugly claim they advocate love, compassion and progressivism, but any honest analysis of their content leads to the conclusion that their reporters are journo-terrorists. They deliberately fabricate falsehoods about their political enemies to effectively hypnotize their readers into being terrified of them. FALSE FEAR is the mantra of the journo-terrorists. There is no question CNN qualifies, as evidenced by its sick threat to terrorize someone who mocked them (rightly) for their continual false coverage of the Trump administration.